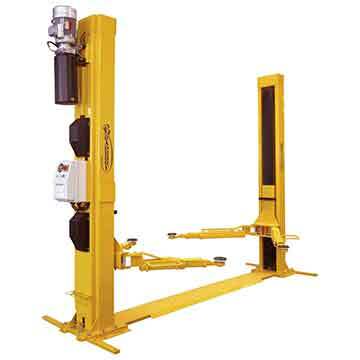 This Bradbury H2401B electro hydraulic two post hoist is suitable for lifting most cars and small vans up to 4 tonne capacity. With a low pad height of just 95mm and screw adjustable lifting pads, this hoist is very versatile. This lift is available in both single and three phase.